To help your initial visit go as smooth as possible please fill out these forms and bring with you. We are located in the same building with the Luby's at 5309 Walzem Road, San Antonio, Texas 78218 (Click for map). 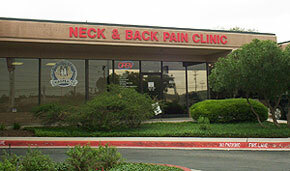 Dr. Tran graduated from Palmer College of Chiropractic-West in San Jose, California in December 2000. After graduation he took a Chiropractic position at Advanced Physicians Medical Group, Inc. (A.P.M.G.) in Santa Clara, California. He advanced his postgraduate education studies by successfully completing the requirement set forth by the Industrial Medical Counsel for Qualified Medical Evaluator for the state of California. In 2003, Dr. Tran decided to strike out on his own and come back to San Antonio, Texas. Prior to becoming a Doctor of Chiropractic, he was a licensed nurse through the United States Army at Fort Sam Houston. Dr. Tran believes that pain treatment involves more than just prescribing pain medications. He feels it is important to find the source of pain if possible. In addition, he is dedicated to educating his patients so that they can have a better understanding on how their bodies work and collaborate with him in developing the most effective course of treatment. At the core of this philosophy, Dr. Tran has a deep and abiding respect for the innate intelligence of the body and its natural tendency towards balance, stability, and health. His goal is to work with his patients so that they can obtain their highest level of optimal health possible.